When a writer sets out to tell a very timely story with direct correlation to current events, it can be a tricky endeavor. 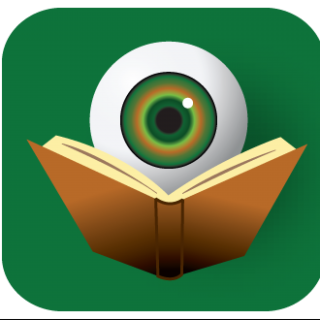 For most, reading is viewed as a pastime, an entertainment if you will, and being bombarded with depressing current affairs can sometimes alter that enjoyment. However, when done well – as it is in Brian Freeman’s Marathon – a topical novel can still be enjoyable while also being educational without becoming heavy-handed and didactic. Brian Freeman sets his story in Duluth, Minnesota on the day of their much-celebrated marathon. While the town’s citizens are basking in the spectacle, Jonathan Stride and members of law enforcement from every level are on high alert. With controversial free-speech advocate Dawn Basch in town spewing her rhetoric, emotions are ripe for some type of collision. Despite their best efforts, an explosion on the marathon route causes chaos resulting in mass casualties. Right from the beginning of Marathon, readers are going to be thinking about the bombing at the Boston Marathon in 2013. In these early chapters, as the countdown to the explosion nears, Brian Freeman generates stress and tension in the reader without graphic depiction of the actual moment of detonation. His focus in this novel is the emotional fallout after such a large-scale attack. Since most of the town was invested in the day’s activities, the resulting confusion, devastation, and anger is viewed from multiple points of view – from both those directly and indirectly affected by the explosion. This includes everyone from the average lay citizen to members of law enforcement who were participating in the marathon itself. Almost immediately, focus turns to placing blame. Eventually, one of Dawn Basch’s supporters remembers seeing a Muslim man with a backpack not far from the detonation point. When he later sees an image of that same man – or maybe just one who looks like him – walking away from the scene without the backpack, he is convinced this man is responsible. Turning to social media, he tweets out the photo of this man – igniting a manhunt and setting off a domino effect from which there is no recovery. 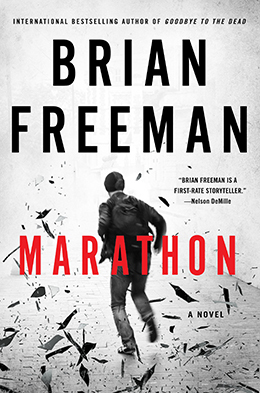 Between novels, novellas, and short stories, Marathon is the tenth work in Brian Freeman’s Stride series; as such these characters have quite a complex and intertwined backstory. Of course, this means that many of the regulars appear in Marathon, but Freeman also likes to include more causal acknowledgment of the presence of other recurring Minnesota residents who played a part in previous investigations. One might think this would be confusing for new readers, but in fact, it was anything but. Brian Freeman has a gift for navigating the thin line between including enough information for the first-time reader, while not overloading the text with too much information series fans already know. Since it is likely that new readers will be hunting down the previous books in this series after reading Marathon, the fact that he is able to do all this without ruining the plots of those earlier books is a real testament to his skills as a writer. Brian Freeman has his finger on the pulse of technology. His use of social media in Marathon feels so real that readers may find themselves searching the hashtags to make sure this is really fiction. In a time when even the simplest utterance can have global reach, Marathon exposes the dangers of such communication and the chain of events that can ensue. The depiction of various factions within society is also timely and realistic. One of the major themes here is the concept that hate is hate – whether you are talking about the level of loathing that fuels Jihadist movements or more personalized animosity directed towards a certain person or a specific group of people. As the volume of hate continues to grow worldwide, our ability to distinguish one from the other becomes a challenging prospect sure to plague society in ever-increasing quantities. Marathon’s goal is not to provide easy answers, or even to place blame, but is instead written to make people pause and think. Even when the natural reaction is to strike out, Brian Freeman and Marathon show us that rash decisions have lasting impact and sometimes a momentary breather can be the difference between life and death. Life is closer to a marathon than it is a sprint: one need not be the first to reach the goal. Disclaimer: A print galley of this title was provided to BOLO Books by the author. No review was promised and the above is an unbiased review of the novel.